Florida, Florida, Florida! was Tim Russerts famous quote about that most telling state in the 2000 Presidential election. Eleven years later, Florida seems to be the focal point again ” only this time it involves the mortgage crisis. 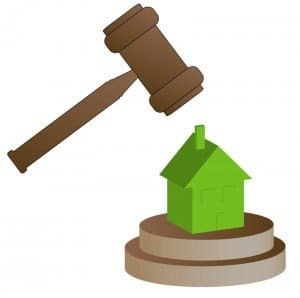 State and appellate courts in Florida, fed up with what they have said is lender misbehavior and sloppy and sometimes fraudulent paperwork, are routinely dismissing cases against homeowners who have fallen behind in their payments and are facing foreclosure. One Miami-Dade County Circuit Judge, Maxine Cohen Lando, was so upset at the way a local law firm representing lenders came into her court with suspect paperwork that she awarded a homeowner title in the disputed property ” free and clear ” and barred the lender from refiling the foreclosure. As Congress grapples with legislation, as all fifty states Attorneys Generals pursue a lawsuit against the banks, and as hundreds and soon to be thousands of homeowners in trouble pursue justice through the court system, one thing is clear ” the way banks do business is going to change. Whether or not Florida leads the nation once again remains to be seen. One thing is clear: lenders are no longer going to be able to walk into court, claim that their paperwork is in order, and expect to be believed. PHILIP A. KRAMER is the senior partner of the Law Office of Kramer & Kaslow, in Calabasas, California, providing legal services in connection with real estate issues relating to loan modification and loss mitigation, land use and zoning, environmental issues, easements, construction and development, finance, and landlord tenant matters.